I have known for years that my passion is to make a difference in the health of families and more specifically, Moms. More recently though, as my daughter is now 13 and becoming a young lady, our relationship has brought new possibilities to light. Zoe is also someone who yearns to make a difference in the world and it's clear that she will journey however she can in order to figure out where her place will be to do that. 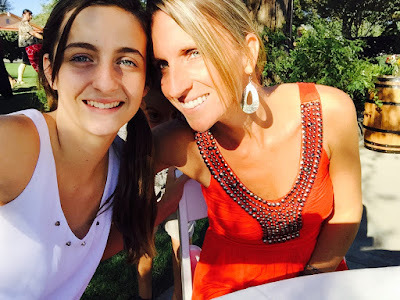 As her mom I know that all she has to do is be herself to make a difference, but because she's so much like me, I know that simply being alive will not be enough to fulfill us in life. Being a female in our society can be a challenge. We live in a time where women are in constant competition and can be downright mean to each other. It seems we can never be good enough, or as great, or as glamorous as the next person. Add social media to the mix and we can get wrapped up in trying to look, live, act and be perfect. This can quickly dim the light of blossoming young ladies and can spiral into becoming doubtful and self-conscious about stepping into our own greatness. A lack in confidence can diminish what we feel we're capable of and keep us stuck for years. Zoe & I believe that we can pave a different path. Not just for the two of us, but for women as a whole. 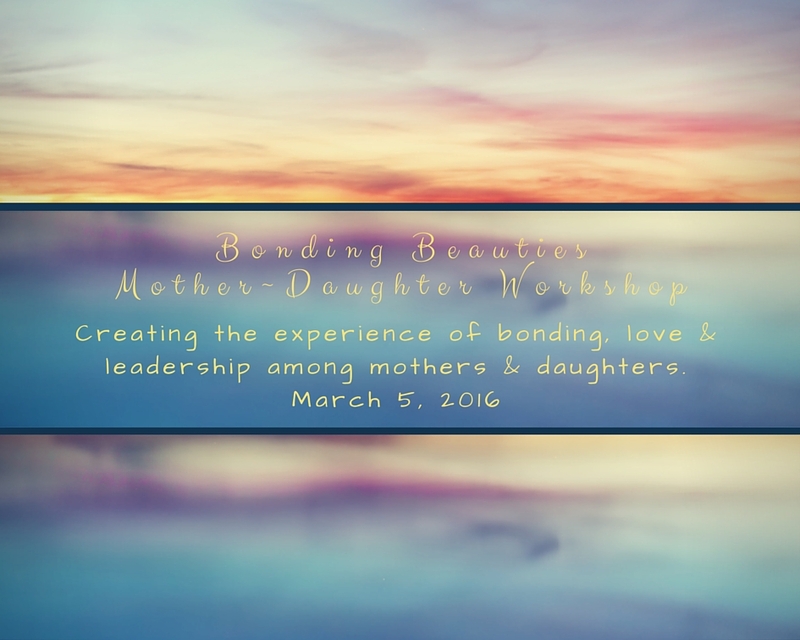 I know that as a mom to a daughter, my purpose is to support and empower her on her path to becoming a woman. And Zoe knows that girls have an innate beauty and power within them that can change the world. So, we began to discuss ways that we could come together and empower other girls/women to stand strong and stay connected to their purpose and their happiness. And so became the creation of Bonding Beauties. 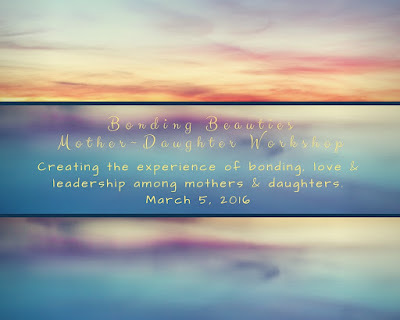 The purpose our our workshop is clear: to create the experience of bonding, love & leadership among moms & daughters; the young ladies of our future and women as a whole. The day will consist of a series of speakers and activities that will tighten the bond between women & girls, and empower us in our beauty and greatness. Our ladies will leave with a sense of deep love and appreciation for each other, and a knowing for our capacity to be leaders in the world around us, no matter how big or small. Questions, suggestions or want to be involved? We look forward to sharing in the blossoming of this beautiful day with you!